Purchasing a house is most likely the largest purchase you will ever make. Most homeowners choose to get a 30 year fixed rate mortgage. However, there are many different mortgage loan options available. No two mortgage products and no two homeowners are the same. Consider all of the different factors when deciding which mortgage will best suit your financial needs. An amortization schedule is the schedule of payments made over the life of the loan. It shows how much you pay towards interest and principal each month. There are several different amortization schedules available to choose from. You can also decide whether or not you want a fixed rate or adjustable rate mortgage. There are many options ranging in the length of loan term as well. A fixed rate mortgage may be beneficial for a long term home investment. If you anticipate only being in the home short term the lower rates associated with an adjustable rate mortgage might be best for you. Interest rates are usually the most discussed portion of a mortgage. When getting pre-approved for a mortgage you should shop around to find a lender with the most competitive rates. Interest rates are very complicated and there are many factors that affect them. When getting pre-approved compare rates amongst lenders to find out who has the most competitive rate for you. Ask potential lenders about the different fees and discount points associated with the rate quote. Also, ask about the annual percentage rate associated with your loan. The amount of money required for a down payment varies between mortgage lenders and mortgage loan products. Most loans do require some amount of down payment. Research the different types of loans and how much of a down payment they require. Compare the interest rates associated with each down payment as well. Mortgage insurance is an insurance policy that protects lenders in the event of a loss on a mortgage. Most mortgages that have a loan to value higher than 80% require mortgage insurance. This means that if a downpayment of 20% or greater is not made you may be required to purchase mortgage insurance. Lenders can get private mortgage insurance through different third party providers so the rates vary from lender to lender. Thoroughly research your options for mortgage insurance and what the lenders guidelines are for removing it once you’ve paid the loan down to 80% loan to value. There are many closing costs associated with getting a mortgage. Some costs are unavoidable and depend on the region you live in, such as the cost of an appraisal. However, some closing costs vary by lender, such as origination fees, credit reporting fees and the cost to lock a rate. Look thoroughly at the Good Faith Estimate provided by the different lenders you apply with. It will break down each of the closing costs into an itemized list. Compare the costs amongst lenders to be sure you are being charged fairly. Your mortgage is not always serviced by the lender who closed on the loan for you. Most lenders sell mortgage loans on the secondary market after it has closed. Your lender will provide you with a RESPA that indicates the percentages of loans that are sold. Speak with your mortgage provider about whether or not they will be servicing your loan. Research the reputation of the provider who will be servicing the loan and what their reputation is. You will need to contact your service provider throughout the life of the loan with any concerns you may have. A mortgage payment is typically comprised of principal and interest. However, many lenders require the borrower to pay into a monthly escrow account. An escrow account holds the money to pay for property taxes and homeowner’s insurance. These premiums are broken down into monthly payments that are added onto your principal and interest payment. Ask your lender if you have the option to have an escrow account. A pre-payment penalty is a fee charged to the borrower if the loan is paid off in full prior to the complete amortization schedule. Most lenders no longer assess pre-payment penalties but find out if your lender has one before closing on a loan. If you decide to sell your home or pay it off sooner you do not want to pay one of these fees. 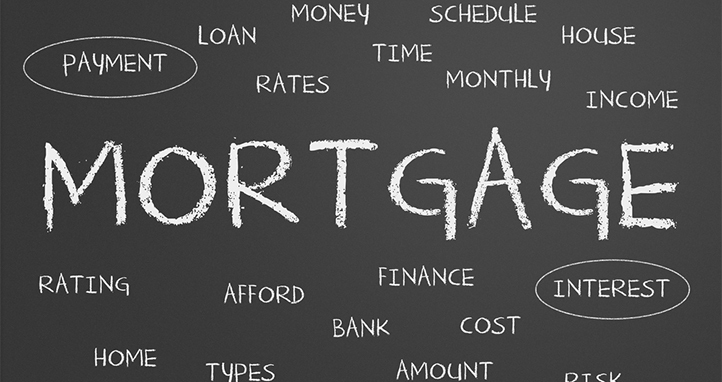 There are many variables to consider when deciding which mortgage loan best suits your needs. Consider the mortgage loan factors listed above before choosing your lender. Be aware of what to look for in a mortgage to feel confident in the choice you’ve made.